In the 1960s, use of lasers on the skin's surface for the removal of hair and for other medical purposes was first explored. Argon lasers were the first to be tested as a means of hair removal. Researchers and physicians like Dr. Leon Goldman pioneered the use of lasers in medical applications, particularly hair removal, and the development of the q-switched laser is attrubuted to Dr. Goldman. From the 1960s through the 1990s extensive research was performed to develop the technology into what specialists use today. Energy wavelengths, pulse durations and intensity levels were carefully researched and refined. Side effects were minimized and efficacy increased. Researchers and technicians added photosensitive (light-absorbing) carbon dyes late in the 1990's, dramatically improving the rate of photon thermal exchange (conversion of radiation into heat) and making the procedure more effective and reliable on light colored hair growth. Modern laser hair removal reflects years of research and advancement. There are numerous reasons why laser hair removal is preferable to many people, when compared to other methods of hair removal. Since laser hair removal is considered non-invasive, it is easy to treat delicate skin in larger areas without damaging the outer layers of skin. The hairs that are targeted are permanently removed. Also, a variety of lasers are available, so you can customize your treatment to fit your needs. Your specialist can discuss the different types of lasers with you, and what process may be best for you. It is important to remember that the laser can only destroy hair in its active growth phase, called the anagen phase. Up to 85% of our hair is in this phase at any given time and the positive aspect to that is that during this phase, our hair has an abundance of melanin and the hair follicle is easily targeted. Alexandrite - such as the Candela GentleLase Plus. Ruby - such as the EpiTouch or the Epilaser. Diode - such as the Coherent Light Sheer. ND, and LP ND Yag- such as the Candela GentleYag and the Altus Cool Glide. These are all effective, fast, comfortable and safe for permanent hair removal. Pulse length - long pulsed lasers are considered safest. Fluence - Selection of energy levels can be varied for skin type. Delay - The time in between pulses of light affects how much the skin and hair follicle are allowed to cool off. Spot Size - Affects the speed and penetration of the laser. A larger spot penetrates deeper. A good selection of spot sizes helps the technician reach the hair at the depth at which it grows. Cooling - The surrounding skin may be protected by a gel, spray or cooled tip pressed against the skin. The emerging laser technologies have made it possible for people with many skin and hair color combinations to enjoy the benefits of laser hair removal. These lasers have been designed to ignore the melanin in the skin and to safely treat patients of all skin types. 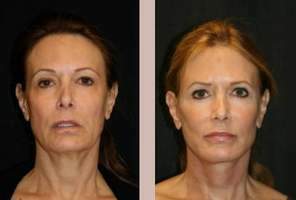 Having said that, the most successful results are those patients with dark hair and light skin-- light skinned, dark haired patients will have a more significant result than patients with blond or red hair or patients with darker skin and will need fewer treatments for a more permanent hair reduction. It is best to consult with your specialist to see which laser system will work for you. The 1960s brought society to a point of considered a way to remove unwanted hair. The hair removal industry seemed to be enthusiastic about the potential generated by research. Hair removal providers began developing and utilizing laser light before effectiveness and safety factors had been fully explored by clinical researchers that should have included dermatologists and researchers. The generation of first lasers that were used for hair removal emitted a single continuous wave. Later it was discovered that this was not a practical application. Since the beam could not be controlled, damage to skin tissue was inevitable. In 1969 lasers were developed that delivered energy through a tiny fiber optic probe to target and "attack" individual follicles. Before the device was cleared through the FDA as effective and safe, it was rushed to market. The claims were that they could permanently eliminate hair growth, but these were false, of course, since testing of the devices had not yet been completed; before long the Food and Drug Administration (FDA) intervened. Ten years later, data verified laser energy was successful in the treatment of ingrown eyelashes. Researchers also found lasers useful in removing specific kinds of tattoos. After it was noted that hair loss sometimes resulted, the device was once again promoted as a hair remover, even though adequate testing was still unavailable. When the FDA approved use of SoftLightT lasers for hair removal during the mid 90's, it was once again presented to the hair removing industry. Still without sufficient testing, the device was nevertheless marketed as "painless" and "permanent." Once again the FDA stepped in. After several more years of unsubstantiated assertions, and using consumers as "guinea pigs" - lawsuits erupted and consumers were not happy. Research has proven that it is a safe and effective method of hair removal as well as tattoo removal. The cost for laser hair removal range from $150 - $650.